Fall is not only known for being the season of pumpkin spice lattes, scarves and sweater weather. It is also known as the season of earthly tones such as brown and orange. And most often than not, whenever a season comes to an end, we update everything to match the next one. Now that it’s actually fall, it’s definitely time to amp things up even in your home and get them matching with the new season. But have you ever thought of redecorating your bathroom and giving it a fall-themed look? You might not know it, but decorating your bathroom to match the season makes it look more lavish. With that being said, here are some of the things that you can do to redecorate your bathroom and give it a very fall makeover. Use Fall Inspired Decorations – If you’re really into changing your bathroom’s look to match it with the new season, you can start it by adding embellishments that can remind you of fall. For example, instead of using plain shower curtains you can use orange shades or that type with printed maple leaves in it. Another option is to use ornaments like orange colored plastic flowers, orange glittery balls, orange maple leaf stickers and plastic mini pumpkin patches. 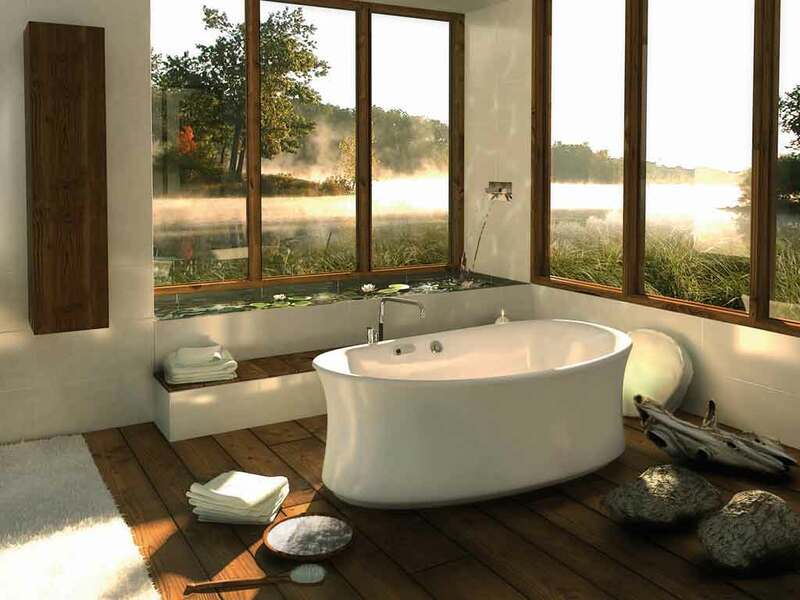 Your Bathroom’s Scent – Smell can actually contribute a lot of things in making a place look a certain way. And since the bathroom is probably the part of the house that has the most interesting mix of odors, giving it a fall themed scent can make the small match the season. Using fall scented candles and pine air freshener will surely help the atmosphere be a bit more fall-ish. Change Your Bathroom’s Motif – If you still have a bathroom that has a very summery theme then it’s time to change that. One good way of changing your bathroom’s motif is to alter the wall’s color. But since that can be perceived as not recommendable, given the fact that you might also have to repaint it for the next season, resort to making sure that your bathroom’s primary motif is a tone that is very trendy during fall. From using orange light bulbs and orange towels, to using light brown floor mats and beige colored soap will be a nice touch in giving your bathroom a new look.